It’s not a mini-trident. It’s a plot point. Disclaimer: This post contains spoilers about episode 3.06, “Ariel”, of ABC’s Once Upon a Time. Forgive me, handful of people who read our blog. I will address the hot mess that was “Ariel” in a moment, but first I need to come clean about two things. The first is I’m the reason Kerry, Becca and I are here at WWFTP, blogging. It started with emails, sometimes full of Feels, sometimes full of snark, to Becca recapping each week’s episode of Once Upon a Time, as she normally works Sunday evenings and often missed part or all of the show. Over time, I started emailing the same recaps to Kerry because she, too, wasn’t always home or otherwise able to watch. These emails would turn into discussion threads of seven or more emails between the three of us picking apart the gaping plot holes, and then we started talking about other shows. I suggested we take our plot discussions to the next level and start this blog, which is why we’re all here. My second confession is this: There was a time I knew every word of every song in Disney’s The Little Mermaid. I watched it often enough that, more than 20 years later, my older sister still can’t watch the movie and won’t, not even to appease her three year old. When I was in first grade, my mom broke down and bought me the official Little Mermaid costume from the Disney store. I still know where the bright red wig is, and I fondly remember showing up in costume at school, where I wandered around hand-in-hand with my best friend, who dressed as Belle in her gold ball gown. Although Ariel is the character I relate to the least, especially as she’s portrayed in the Disney movie, hers is still a story I normally can’t help but sit and watch, transfixed and rapt. What’s inspired this bout of full disclosure? Rest assured, it’s not a desire to share everything about myself. It’s complete and utter frustration with how badly Once, and in particular this story, are being handled by the show runners this season. As much as I commend them for focusing on a single narrative arc in the first half of this season – namely, the rescue of Henry from Neverland – I can’t say as I approve how that arc has been executed. The storytelling from week to week has been uneven and studded with plot anvils, those visual or verbal cliffs notes writers drop along the way because they don’t trust their audience to follow along and think for themselves. And “Ariel” was no different. 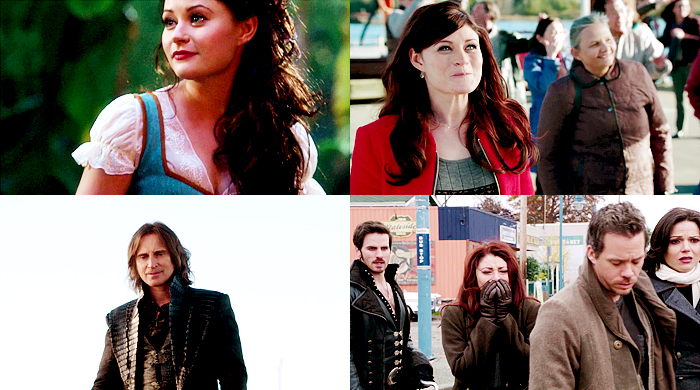 This week’s episode had three distinct plots: Emma, Prince Charming, Snow White and Capt. Hook hunt for Neal to determine whether or not he’s dead; Regina and Rumplestiltskin find each other and agree to work together to rescue Henry and defeat Peter Pan; and, in our flashback of the week, Snow White and Ariel met and became friends. The Emma-centric plot consisted of a lot of jungle wandering and a poorly lit cave scene with some truly maudlin truth-telling. Arguably, Jennifer Morrison’s emotional reunion with Michael Raymond-James’ Neal was the sole redeeming element of this week’s Henry related story. Morrison’s tears never feel forced; rather, she manages to capture the authenticity of a woman who has spent decades training herself not to show emotion rediscovering her capacity to feel. Someone in the writer’s room clearly decided to capitalize on the appeal of Lana Parrilla and Robert Carlyle by choosing to (finally) pair Regina and Rumplestiltskin together. As delightfully campy as each can be on their own (and no one else on the show chews scenery the way these two do), their rapport is magnetic: They can convey years of enmity and cautious trust in a few words or a gesture. With any luck, this alliance will continue for at least a few more episodes, and we’ll be treated to a little of their old master-and-apprentice relationship. However, not even JoAnna Garcia Swisher’s charming turn as Ariel, the mermaid in love with a human prince, couldn’t save how badly Hans Christian Anderson’s story of star-crossed love was flubbed. Just look at that adorable, apple-cheeked, temporary ginger! As much as I don’t mind changes contributing to making a story more interesting (i.e. changing Ursula from sea witch to mother goddess); or those alleviating any hand-wavium (i.e. a practical, mermaid physiology cause for Ariel gaining legs), I can’t forgive the dearth of nods to the 1989 film or the completely nonsensical choice to make Regina masquerade as Ursula. The former doesn’t make much sense, considering how eagerly the show has embraced nods to other Disney properties. The latter was insulting, between the half-assed direction to Parrilla to either vaguely mimic a Caribbean accent or a speech pattern like Divine, and the decision to double up with Regina as Ursula. But, more to the point, what I find inexcusable was the show’s decision to turn Ariel into a plot point. Her introduction through a Snow White-related flashback barely mirrored either of the present-day Neverland plots, and she played second-fiddle to Snow White as a pawn in the struggle between the erstwhile princess and Regina. Snow White; Making it about herself since day one. Furthermore, when she reappeared at the episode’s close, it was only at the behest of Regina and to act as a messenger for the evil duo. Ariel’s lack of importance to the overall progression of the plot is illustrated by the way she only has a voice at the whim of Regina. Although the original story does include Ariel losing her voice, which was her signature feature, in both the original and the Disney cartoon, she at least had some measure of free will. Here, Once has reduced Ariel to a bit player in her own story who can’t even choose to escape her curse. It’s frustrating to be irrationally angry with a show that has previously brought my friends and I so much entertainment, and it’s insulting for a character, originally imagined as a parable about love and sacrifice, to be reduced to little more than a footnote in someone else’s story. Badly done, show. Badly. done. Warning: If you haven’t seen episode 3.01 of Once Upon a Time, “The Heart of the Truest Believer,” this post may contain spoilers. Sunday night’s third-season premiere of ABC’s family drama fantasy, Once Upon a Time, posed an interesting question, though I’m not entirely sure it’s the one the showrunners had in mind. (Although, it’s not exactly like they’re known for playing the long game.) But, in sending the vast majority of the first string to Neverland – and dropping a single player back into the Enchanted Forest – the start of the new season invited both die-hard Oncers and casual fans alike to consider the following: Can you sustain yourself on nostalgia alone? and the power of belief. But I would argue the focus of Sunday’s premiere was actually the power of nostalgia; How that sense that things not only could or might have been better in another time, but were better, can corrupt our appreciation of the present. 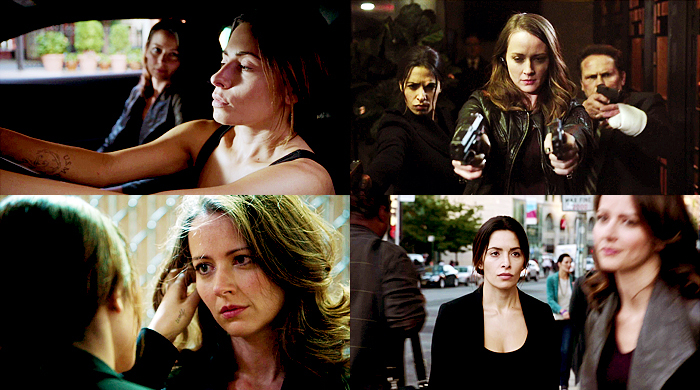 Consider, for a moment, a few of the major arcs of season 2. Regina’s mother, Cora, was shown as a power-hungry social climber who eventually used her only child to achieve the goals she’d never come near in her own youth. Rumpelstiltskin, when finally reunited with his son after centuries of self-inflicted separation, offers to rewind the clock and make his son a dependent teen again in a misguided attempt to make up for lost time. And even Snow and Charming, representing the shiny happy delegation of the Enchanted Forest, argue over the wisdom of returning to their former home and lives versus remaining in the world to which they were exiled. The tip of the glacier that is Emma’s issues. Officially, the tagline for the first half of Once’s third season is about Emma being forced to face her past when she finds herself in a place where no one has a future. And in so many ways, that is what Neverland represents: A place where children never grow up and learn to handle self-doubt, death, uncertainty and responsibility. Neverland is the home of the Lost Boys, children whose intense desire not to grow up, led them to a world governed by imagination and fun – but as rife with danger and uncertainty as our own. After all, J.M. Barrie’s novel pits Peter Pan against the manipulative adult figure of Captain Hook and his mindless crew of pirates, but there are other dangers in Neverland. It’s only Wendy Darling’s blind refusal to acknowledge that no world is safe, least of all that of childhood make-believe, that coats Peter Pan and Neverland in a sparkly top coat. Once’s Neverland is dangerous from the word ‘go,’ with blood-thirsty Lost Boys, led by a particularly sadistic teen I’ve nicknamed “Blondie McScarface,” for want of an actual name. And all internal story logic goes right out the window. The Storybrooke contingent is assaulted by violent mermaids who are seemingly part siren, part sea monster. And Henry unknowingly puts his own life in the hands of the very person who poses his greatest threat. Meanwhile, Neal awakens from his brush with death in the Enchanted Forest, where he explains to a stranger why he took a bullet for a woman who wouldn’t normally acknowledge him. (Spoiler: It’s a healthy dose of guilt for breaking her heart, and an as-yet-undetermined amount for Emma.) Later, he realizes he must return to his father’s castle and, more troubling still, must use the very magic he blames for destroying his family in the first place. The key to discovering how to reunite with Emma and their son and return to their world is his father’s walking stick. It’s one of the few times Neal shows any sentimentality regarding Rumpelstiltskin, and it’s telling that he gets a little verklempt over an object that reminds him of a time before his father had magic, when they were poor and powerless but happy together. The high points were Neal’s interaction with Mulan, who, absent any romantic interest or prior knowledge of his past, treats him as an equal for Emma’s sake. Their friendship had a note of authenticity that is occasionally lacking in the other characters’ interactions, and we here at WWFTP are eager for Neal and Mulan to have further adventures, with or without the other remaining citizens of the Enchanted Forest. We found Kilian Jones less smarmy as Hook, and he arguably had the best line of the episode. Sassy Hook wants you to look at your life and your choices. And we appreciated how different the show’s take on Neverland is from either the source material or the more obvious, Disney-fied take; while we have plenty of questions, we also found the Lost Boys and Peter Pan menacing enough to suspend disbelief on some of the vaguer points of the plot leading from Storybrooke to Neverland. However, we were frustrated by Snow’s abrupt and unpredictable turn toward violence, which seemed entirely out of character, unless the showrunners have thought ahead for once and will reveal some aspect of Neverland’s magic that inhibits maturity. And the theme from “Deliverance” begins to play. We were also insulted that it’s taken the show two seasons to finally give Henry a motivation for his actions – the big reveal of the episode was Peter Pan’s desire for Henry being based in Henry’s role as “the truest believer” – but without giving his character more dimension than he had in the first season, when he was believed Storybrooke was a lie. Any opinion on the young actor who portrays Henry aside, we’re ready for the character to stop being treated as a plot device for the advancement of his mothers’ storylines. Finally, I would be remiss not to mention Robert Carlyle and Lana Parilla’s performances. Becca requested I mention how flattering Carlyle’s Rumpelstiltskin looked in his open-collared shirt. I would add that his boredom with Blondie McScarface’s threats was one of the character’s most amusing moment in three seasons. Rumpelstiltskin is 1000% done with this nonsense. Likewise, Lana Parilla outdid herself, swinging between a nearly sweet moment with Hook as they discussed the possibility of a happy ending for villains like themselves to her brusqueness when Emma named herself the leader of their misfit band to the second and third best lines of the episode. The showrunners may think their characters are focused on the struggle between hearth and ultimate cosmic power, but whether it’s Emma’s refusal to accept her parents’ rose-tinted vision of their past or Hook’s gift to her of Neal’s old sword, the real question of the first major arc this season is whether the characters will continue to rely power of their nostalgia, or whether they will finally face the consequences of their actions. Even Kitsis and Horowitz are trading on the audience’s nostalgia, stating that their Peter Pan is not the one of our childhood – or of the peanut butter. 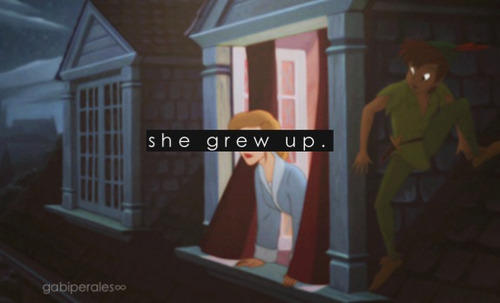 And, in the end, the Neverland of Wendy Darling’s childhood is not the same after her return to London. She eventually realized vowing never to grow up wouldn’t keep her safe; only actively trying to change what was expected of her would give her the security she felt she needed. I only hope Emma takes a page from Wendy’s book, and follows a similar path, or considering the knot of abandoned storylines from last season, stays on any kind of identifiable path. I wish I could put Community on this list, but according to NBC it is TBD right now. While the show is definitely not one of the best out there, and the sophomore season had major problems, I’m still anticipating the third season. Once Upon a Time in some ways started the deeper friendship I have with the two other mods of this blog. 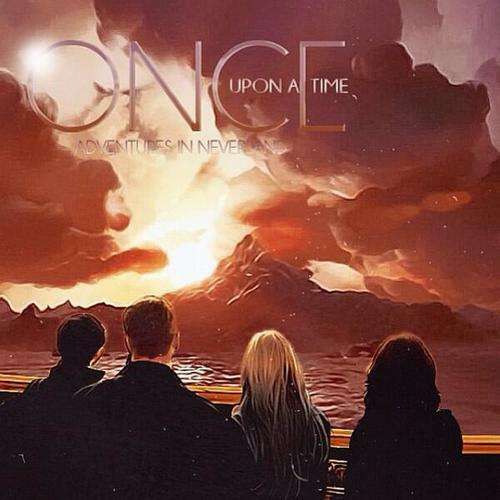 We all knew each other because of Community, but our friendship grew stronger from watching Once Upon a Time together. It is always fun to dissect a show with someone, and with Once there is plenty of material to use. Hopefully the third season will be better than the second. Last year, the creators secured the rights to Peter Pan mid-season, which made them like kids in a candy store. The potential of characters and stories were wrecked. What happened to FrankenWolf, Pinnochio, or Belle as her own character, without Rumple, as storylines? There was a point during the second season where there was a glimpse of a Belle and Ruby friendship, but Meghan Ory, who plays Ruby/Red, suffered because the creators’ attention span was short. Fortunately for Meghan, she will be starring with the gorgeous Josh Holloway on the new CBS show, Intelligence. The writers have also stated they are doing only two story arcs this year. This fall’s continuous episode run will contain the first arc. Let us celebrate that we won’t get two episodes and then have to wait three weeks for a new episode. The pacing should be better this way. Also, the writers should have a better idea on where the fall and then winter arcs are going. Here’s hoping for some continuity. Another reason to look forward to the third season is because Jane Espenson is still a writer on the show; I genuinely love the episodes she writes. They are full of plot, and we get a great depth from her stories. Finally, the actors make the show watchable, especially when you have an urge to yell at where the story is going. For me Lana Parrilla and Robery Carlyle are the two best actors on the show, and the show would be lost without them. Oh. I also watch for Robert’s face. I find it extremely attractive. How is Beckett going to respond to Castle’s proposal? Well, that question was answered during last night’s sixth season premiere. I then fell for the show with the rest of the characters. 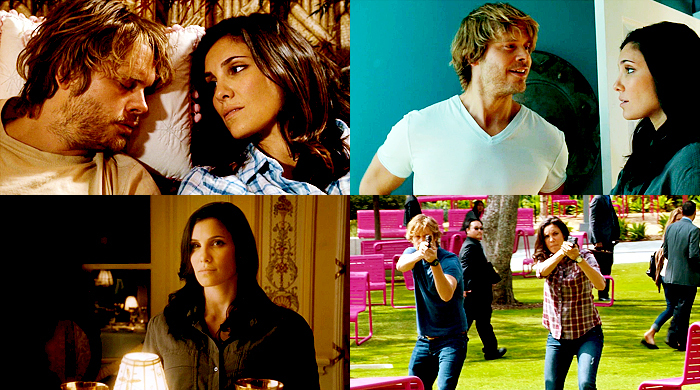 I love the cast, and I believe it is one of the better ones on TV. There is not a character on the show who I dislike. Kate Beckett, played by Stana Katic, is a great opposite for Castle. She is a great cop, who is smart and doesn’t put up with Castle’s behavior when it starts to go into childlike territory. Beckett is an awesome person. She was able to recreate Rear Window for Castle when he broke his leg. I really love the their dynamic: It may not be His Girl Friday, but I would put the two of them together with some of the great screwball couples. Just don’t ask me to call them by their shipper name. Then we have the bromance of the show between Detectives Esposito and Ryan, played by Jon Huertas and Seamus Dever, respectively. It is a beautiful relationship. I love that they have had their ups and downs, from points where they have each others backs to those where they don’t want to talk to each other ever again. 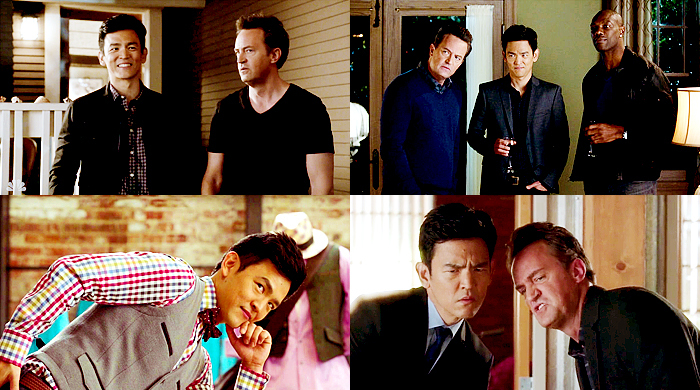 However, they quickly make up, and the bromance slowly becomes great again. I also love that these two are their own individual characters. 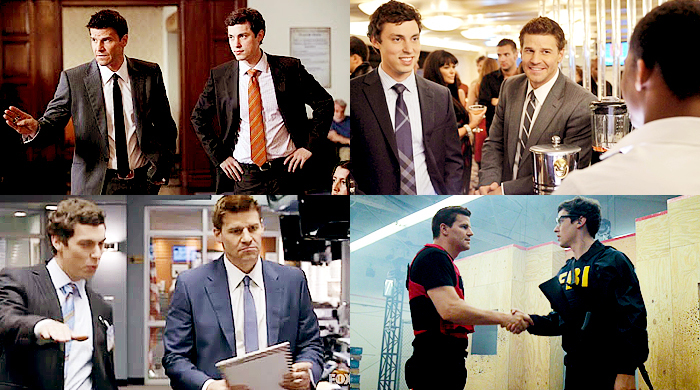 They have very different voices, and they each bring something to the show. 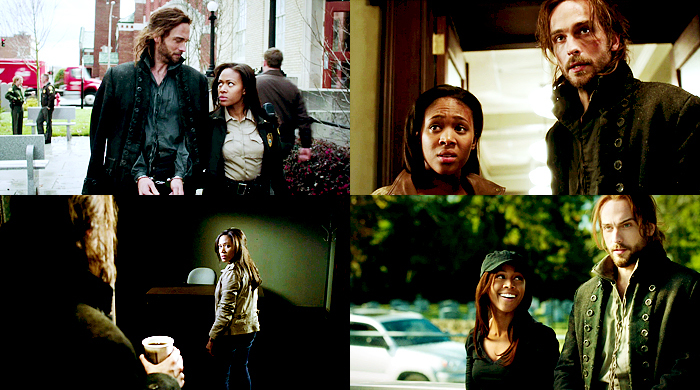 Then there is Lanie Parish, played by Tamala Jones. She is excellent at being Beckett’s best friend and will always have her back, especially when someone has wronged Beckett. She is also the kind of person you would never want to cross because your life would not be pleasant. The writers have also created an intriguing, but not too intrusive, on-again-off-again relationship between her and Esposito, which I find enjoyable. 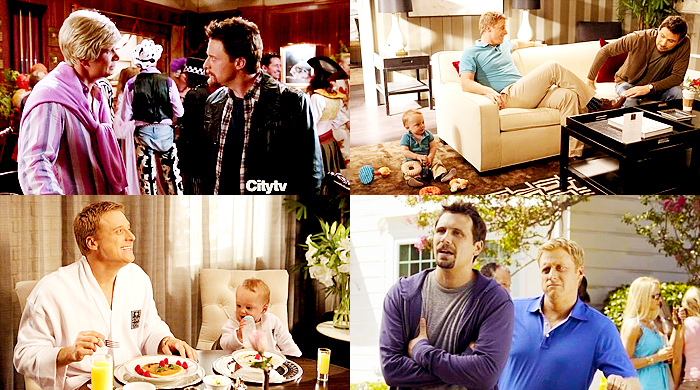 Finally, one of my favorite dynamics is Castle’s family. Castle’s daughter, Alexis, played by Molly C. Quinn, was first introduced as the responsible one of the family. Throughout the show’s , she has loosened up without losing the traits of being a smart, capable young woman. The relationship between Castle and his daughter is beautiful, and is one of my favorite father-daughter relationships on TV because I feel a deep connection between the two with no animosity. We also have Castle’s mother, Martha Rodgers, played by Susan Sullivan. She is a lover of the arts, but I feel she knows how a family works. In my opinion, she gives some of the best advice to both Castle and Alexis. I love the flair she has. This show is beautiful from its cast to the writing, and if you are not watching it, then you should be, because you are missing out. Ron Swanson is with child. That should be enough of a reason to watch this show. Of course, there are other reasons why you should watch this show, like great cast, smart writing, fantastic acting, and gif-fable staging. Amy Poehler, who plays Leslie Knope, is a big reason why Parks and Recreation is amazing. She is this beautiful, amazing human being, and the world would be less awesome without her. 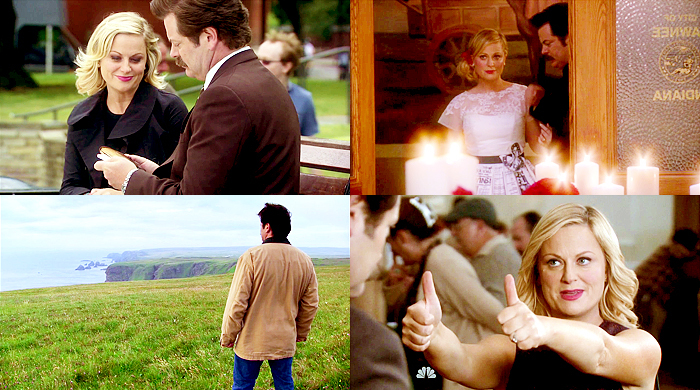 She is the reason why Leslie Knope works, and why the character is so lovable. 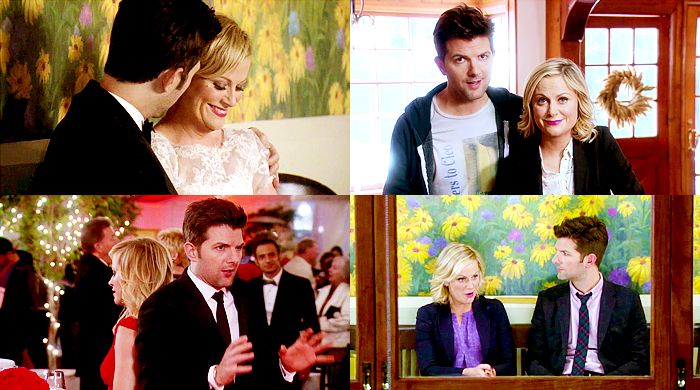 Then there is Adam Scott, who plays Leslie’s counterpart, Ben Wyatt. Generally, watching Ben Wyatt turns into a ‘look at his face’ on both my Twitter and Tumblr timelines. He is the lovable nerd, and loves Leslie so much, which makes him more lovable. I have already mentioned him, but Ron Swanson, played by Nick Offerman, is one of the greatest characters on TV right now. It is going to be interesting to see him become a father, especially when the mother is played by Lucy Lawless. One of my most favorite characters is April Ludgate, played by Aubrey Plaza. The relationships she has with the other characters are some of the best. She and Ron have a kind of father-daughter relationship. They hardly show emotions, but you can tell they love each other through their nonchalant style. 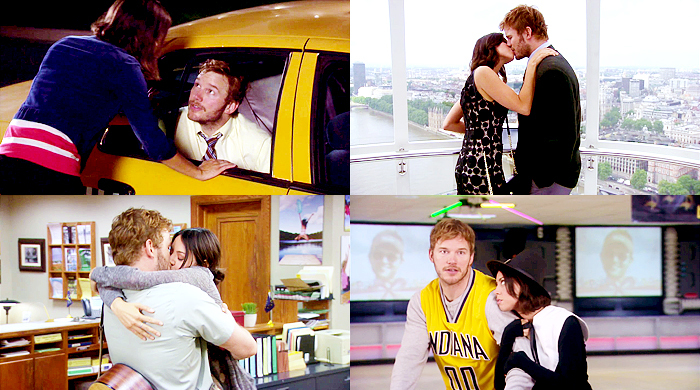 Last but not least is April’s relationship with her husband, Andy Dwyer. I love their relationship. At times it seems so carefree, but there is a great depth in it. I love how each of them support and have faith in each other. They make their relationship work, and people should think again if they think this relationship will not last. It is a very beautiful relationship. There are MANY reasons why someone should watch this show, and if these reasons haven’t sold someone, they should at least watch for Retta’s character, Donna Meagle. She has game. This immediately increased my interest in the show, because I wanted her to be proven wrong about this show, and she was. She still may not recognize this show, but this show has grown into its own, and is loved by many. That’s what I love about the Sherlock adaptations; they are their own and they all work. For me it is like reading a book: No one is ever going to have the same take on a story as another person. 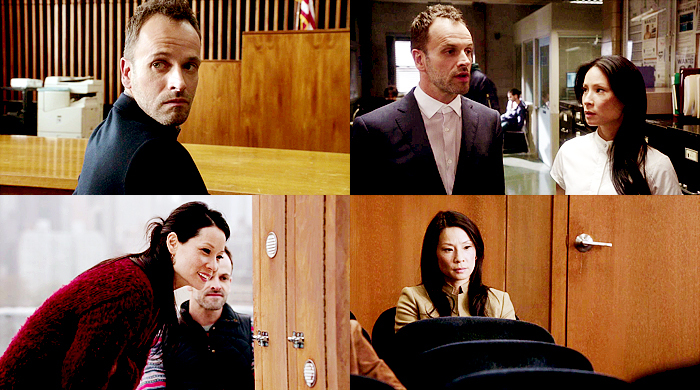 Jonny Lee Miller and Lucy Liu have a great dynamic. 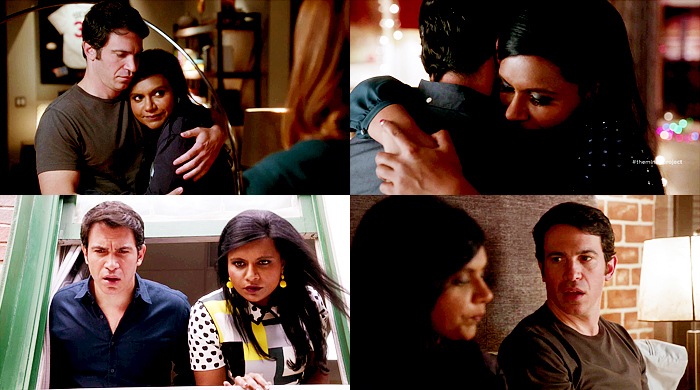 Their relationship has grown into something beautiful, where she was only his sober companion in the beginning to being his friend and partner at the end of season one. Lucy Liu makes an excellent Watson because she doesn’t put up with Sherlock’s arrogance. I loved her when she was facing Moriarty, and how she was the one who proved she was not just Sherlock’s “mascot.” She was the one who figured out Moriarty, and was able to take her down. This show is also awesome because they decided to combine the two characters of Irene Adler and Moriarty. The last two episodes of the first season were emotional, and I fell in love with the idea of having Sherlock’s nemesis also being the woman he loved. 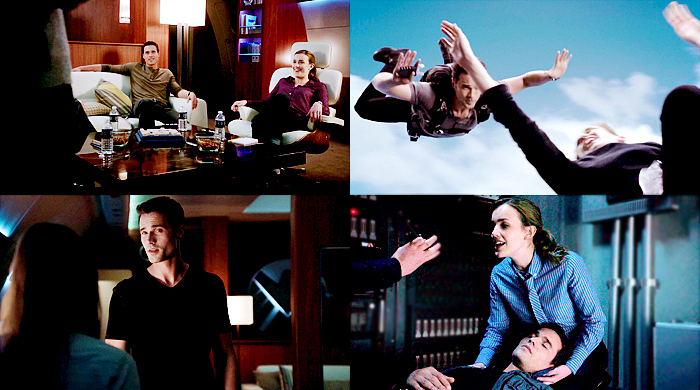 It put him in a vulnerable situation, and Miller played it incredibly well. Props also have to be given to Natalie Dormer: The way she played both characters was superb, and I hope we revisit the storyline again. Another reason why I’m looking forward to season two is meeting Sherlock’s brother, Mycroft, who will be played by Rhys Ifans. I’m anticipating what the dynamic will be like with him and Miller as well as Liu. With Robert Downey Jr.’s Sherlock, Mycroft’s interaction was mainly with Watson’s new wife. We hardly saw anything between Mycroft and Sherlock, with the exception of a few minutes of them trying to prove who was smarter. Stephen Fry as Mycroft Holmes, with Robert Downey Jr. and Jude Law. In the BBC version, Mycroft plays the big brother looking after a younger, sometimes infantile brother. I want to see how different the relationship will be. Did I forget to mention that I am attracted to Jonny Lee Miller’s face and his voice? Because I am. His face helps make my night great. Finally, Clyde. I know Moff would feel a little remorse if I did not mention Clyde the Turtle, and how we all look forward to seeing the little green guy every time he appears on screen. Arrow is an AMAZING show and quickly became one of my favorite TV shows of the year, especially after I was slightly disappointed with some of the other shows I watch. Where they let me down in some areas, Arrow only became better as the season went on (especially after they were able to lose Oliver’s narrations). This show is in no loss of the FEELS department. The first season finale proved that. TOMMY! One GREAT thing about this show is they know when something works, they keep it. Manu Bennett (one of Kerry’s favorites), who plays Slade, is now a series regular. This means we will get more good Island stories. The Island stories are great, and are sometimes even better than some of the storylines happening in Starling City. Give me Oliver Queen, as played by Stephen Amell, on the Island over a flashback of Oliver and Laurel any day of the week. The only bad thing about the Island are Amell’s wigs. Let us all gather together around a bonfire and burn those things. They have also made Emily Bett Rickards’ character, Felicity Smoak (who is QUEEN by the way), a regular for season two. I LOVE that a guest character, who was possibly recurring, quickly became something more and joined the Arrow team. 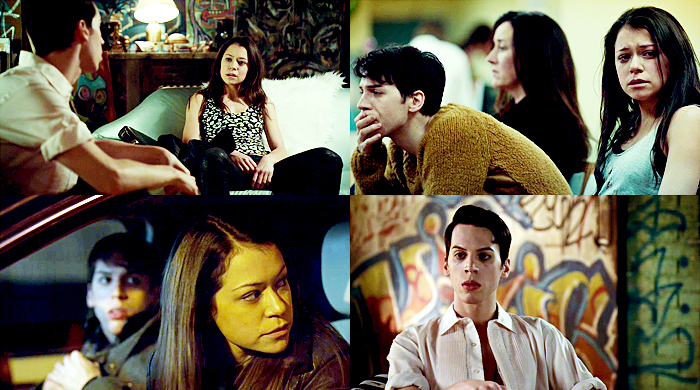 She is this quirky girl who is very intelligent and knows how to stand up to Oliver and his really awful lies. 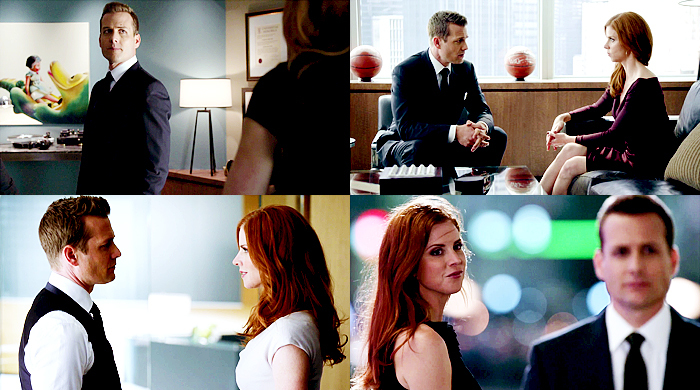 (That man cannot lie when it comes to her.) 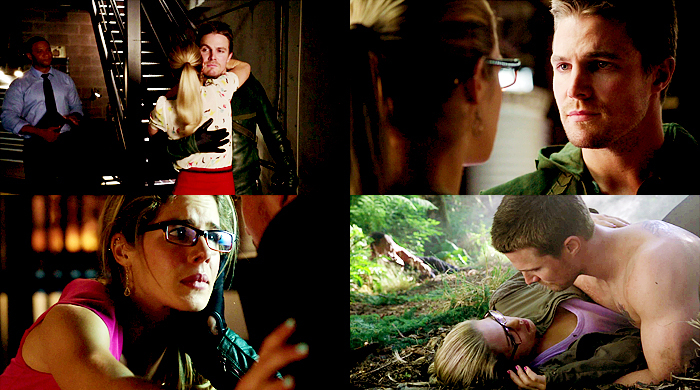 Felicity Smoak is AMAZING, and I can’t wait to get more of her, especially if that includes backstory. One of things that worked splendidly was the Arrow team. 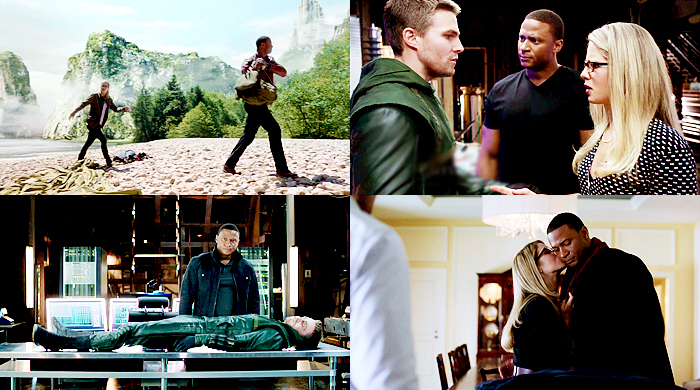 The show got better once David Ramsey’s John Diggle joined Oliver. Diggle is an amazing character, and a really great counterpart to Oliver. His expressions alone are priceless. 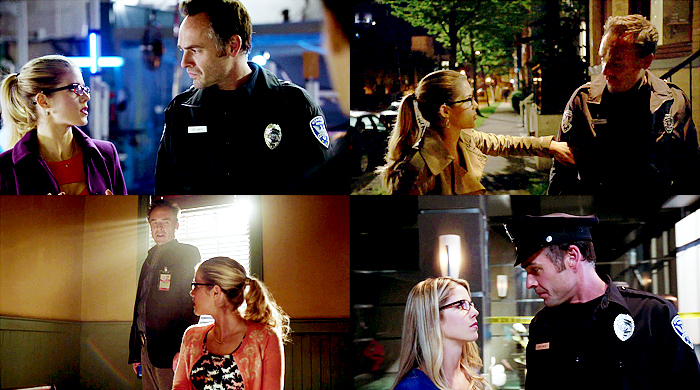 Felicity made it even better when she joined the team. 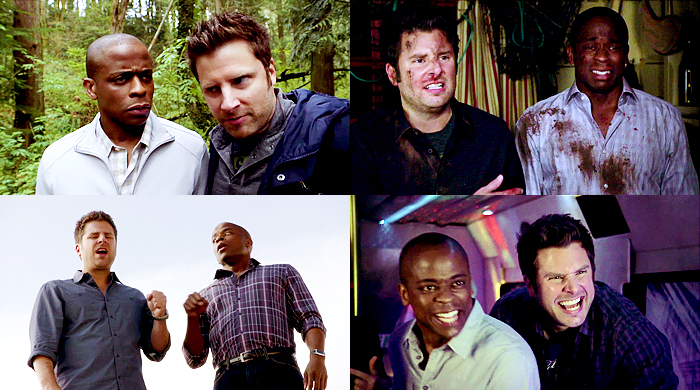 The three of them as a team is something magical, and leads to some of my favorite scenes. 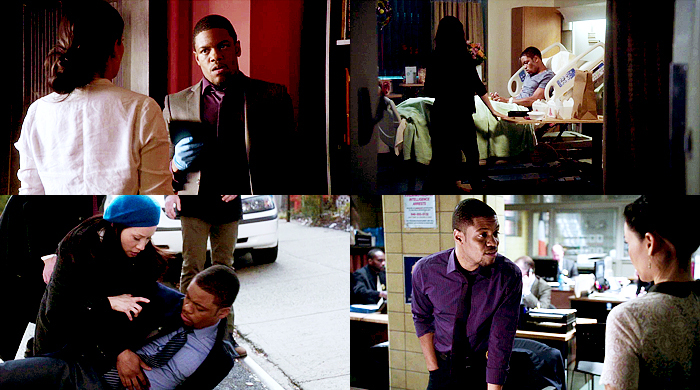 Felicity and Diggle are a great balance to Oliver’s broodiness, and he would be lost without them. Of course we watch for the plot.